Deluxe and ultimate wine gifts for Christmas from Wineware! Gift buying is starting to enter our thoughts with the big festive period on the horizon, the clocks going back signals the start of winter and the biggest celebration of them all…Christmas! There’s no need to put on your big coat and enter the hustle and bustle of your local high street in search of the best wine gifts as we’ve got that covered here at Wineware! What wine related gift do you buy for the person that already has everything? We’ve listed our top 5 best selling deluxe wine gifts that are sure to make your lucky recipient smile this Christmas. Wineware’s Top 5 ultimate wine gifts for Christmas! 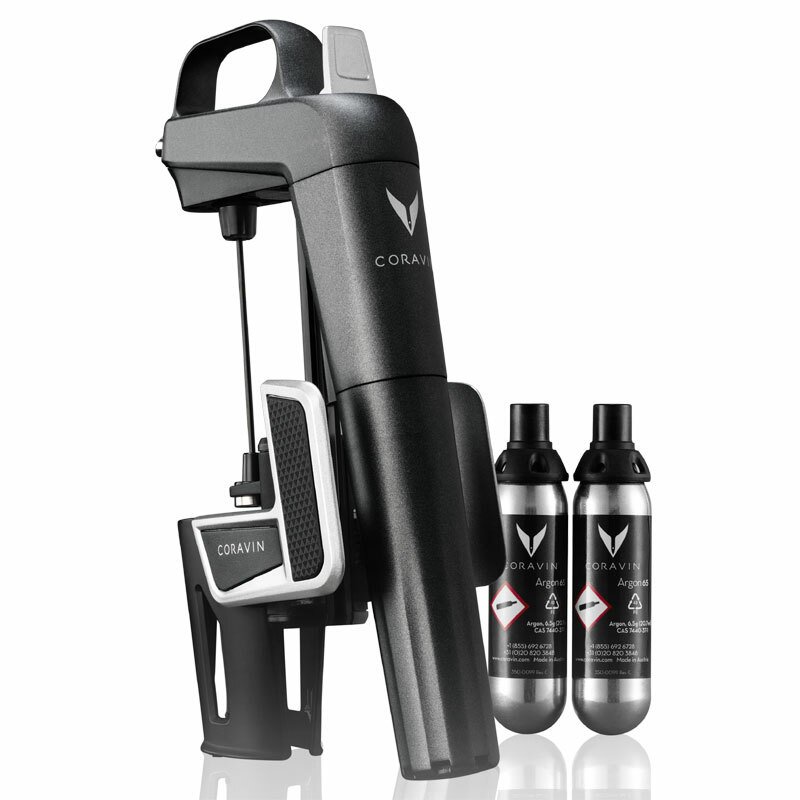 Coravin is a modern wine system that allows you to pour and enjoy a glass of wine from any bottle, at any time. Coravin is the best-in-class tool that protects your wine from oxidation, you simply leave the cork in place thanks to Coravin’s proprietary technology! Coravin allows you to enjoy a bottle of wine without removing the cork, it keeps your bottle sealed so you’re able to return to your favourite wine a few days, weeks or months later! The stunning glassware collection from Austrian glass manufacturer Zalto, features wine specific red wine glasses (Bordeaux & Burgundy), as well as a Universal and an elegant white wine glass. A champagne flute, sweet wine glass, carafes, decanters and spirits glasses also feature. Zalto produce highly durable yet ultra-fine non-lead crystal glass blowing and is the choice of many Michelin star restaurants and wine enthusiasts alike. 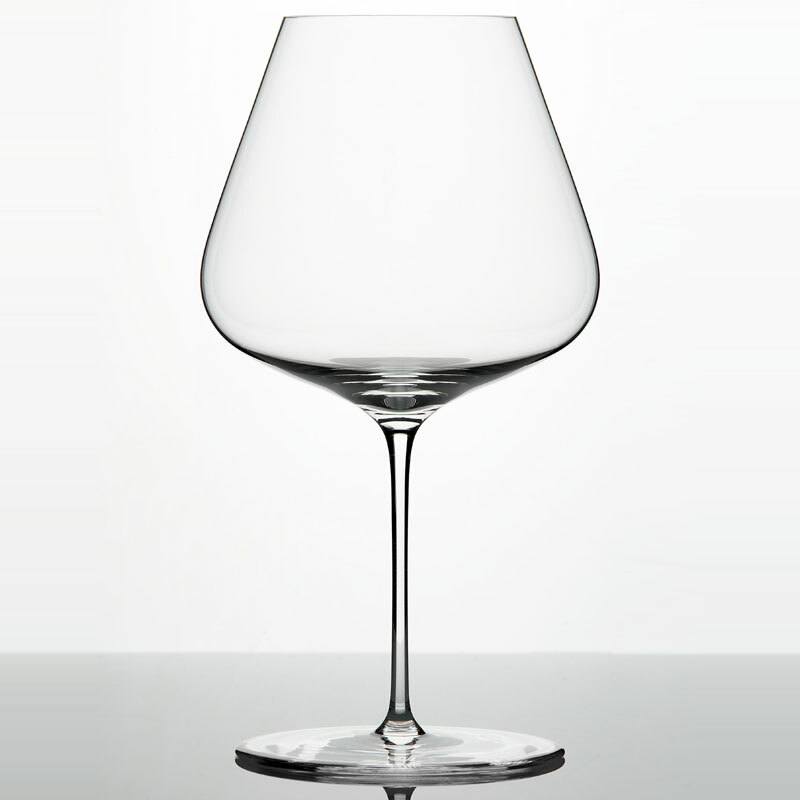 The entire range of Zalto wine glasses are carefully handcrafted in Zalto’s own factory, using the most highly skilled glass-blowers. The elegant Laguiole en Aubrac corkscrews are all entirely handmade and crafted in the Laguiole area of France. Every piece is unique and will have been assembled from start to finish, by one single craftsman. Every piece is slightly different thanks to the designer, meaning one Laguiole en Aubrac corkscrew is never the same as the next one in the same range ! Each bottle opener has a different style/material of handle, ranging from differing woods and horns in various styles. 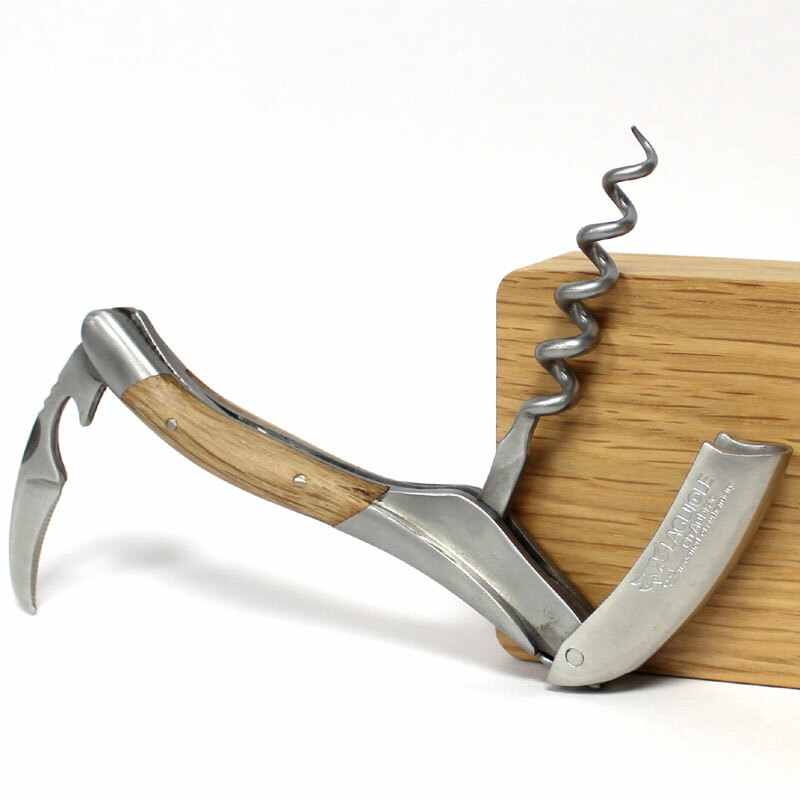 The corkscrews are easy to handle and supplied in their own branded wooden presentation cases, making them one of the best wine gifts available! 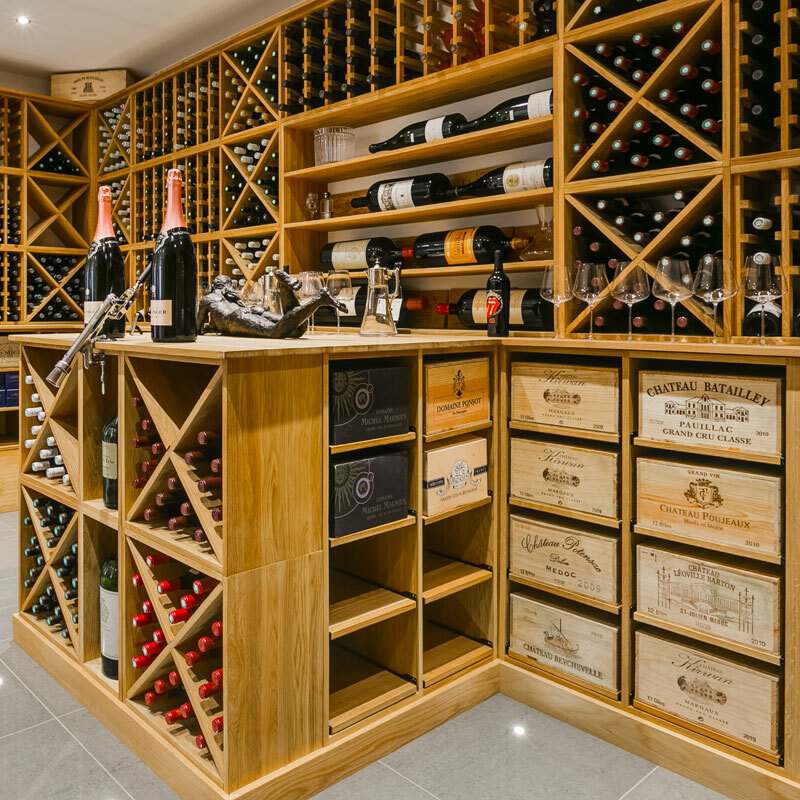 What better way to store a wine collection than in its own, temperature controlled home! 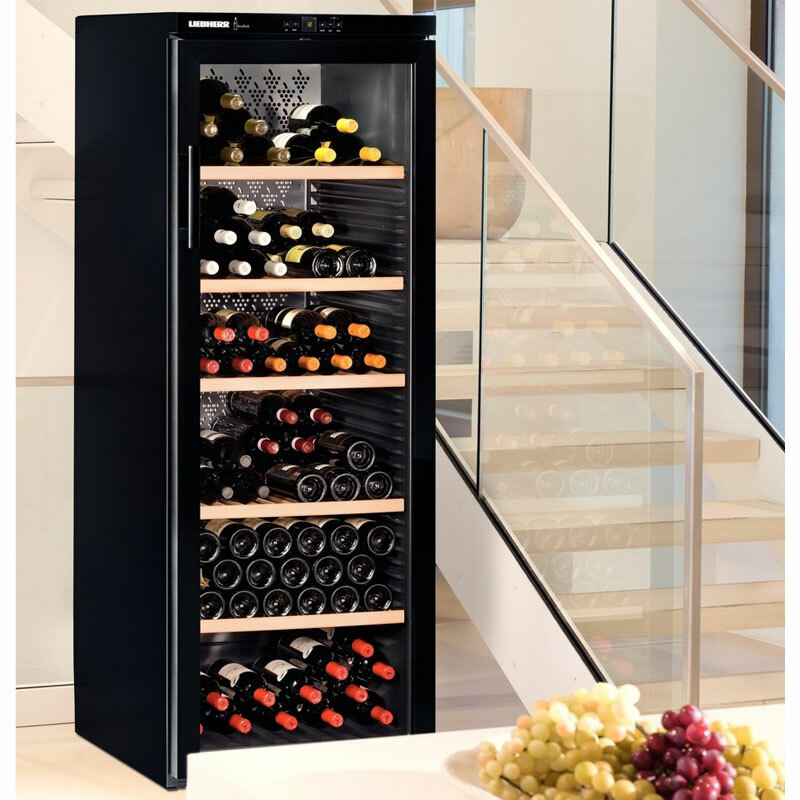 With cabinet capacities ranging from 66 > 300+ bottles, you’re able to keep your wine in the perfect surroundings for either long or short term storage. These easy on the eye wine cabinets can store a mixture of red, white and champagnes at any one time, it really does depend on your individual wants and needs. The units can be kept within the home and the glass door allows you and your guests to see your great wine collection, displayed in a most handsome environment! Hand crafted in beautiful solid oak, our bespoke wine racks are made to order and can be perfectly tailored to fit your own requirements and space. It doesn’t have to be an entire room, as any space big or small can be designed to store your valued wine collection. With various designs and styles available, a combination of individual bottle racks, cubes and case racks can complete a wine cellar package. Finished and finally sealed with a Danish oil, the grain of the wood is shown off to its fullest potential. Alternatively, why not let your friends and family decide which wine accessories they’d like, with a Wineware Gift Voucher. You have until 12 Noon on Thursday 21st December to purchase your Wineware Christmas Gift for guaranteed pre-Christmas dispatch!